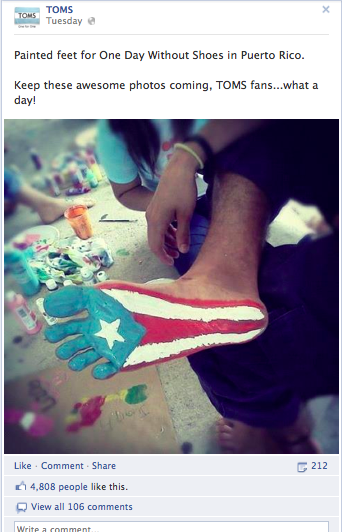 Interesting post. 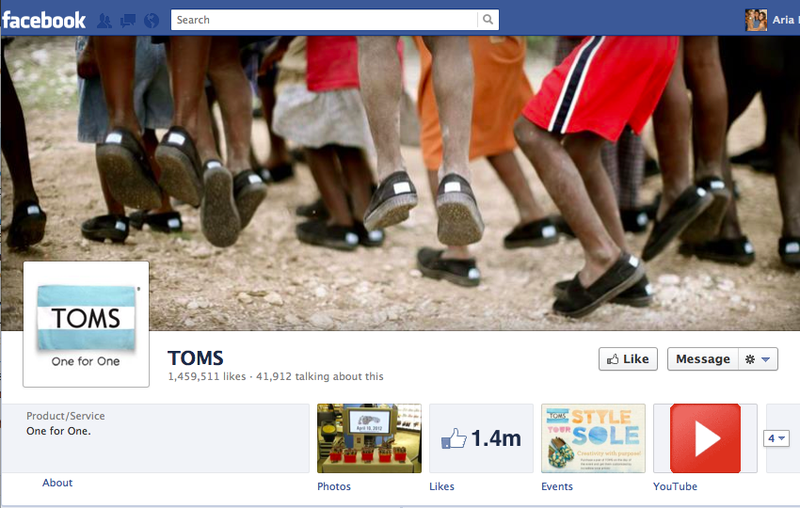 I already knew that TOMs was influential in a socially responsible economic way, but I didn’t realize how active they were on social media. 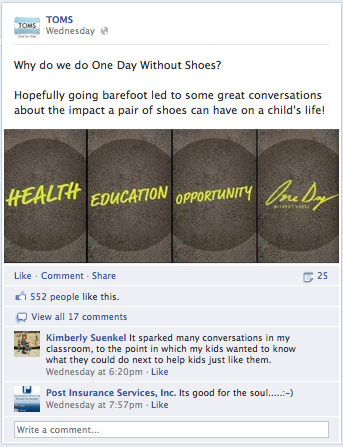 However, after reading this, it only makes sense that the brand would promote its “Day WIthout Shoes” so heavily on social media because platforms like Facebook make it very easy to mobilizes millions of people. 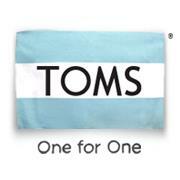 As you mentioned, this online campaign allows TOMs brand ambassadors to organize events easily and effectively in their own cities while spreading awareness for the brand and its message. Hey! This is really interesting! I was wondering where you found all the data and statistics for this? I’d love to share with my professor, but she’d want to know where you got your facts. The data from last year’s event I grabbed from this video: http://www.onedaywithoutshoes.com/recap. 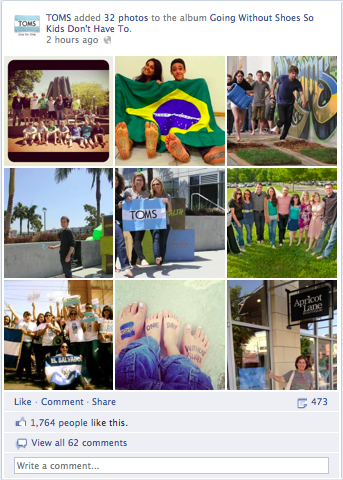 The rest are cited or from TOMS social media sites.